My tornadoes love making things for Handy Hubby for Father’s Day. I know he will love the small gift we bought him this year but it’s the homemade items – most likely with the ‘F’ written back to front by Miss T and a pen scribble and accidental smear of Vegemite by Mr TT – that he will love best. The old saying goes that the fastest way to a man’s heart is through his stomach. I’d say a handmade “I wuv you Daddy” gift goes pretty close too. 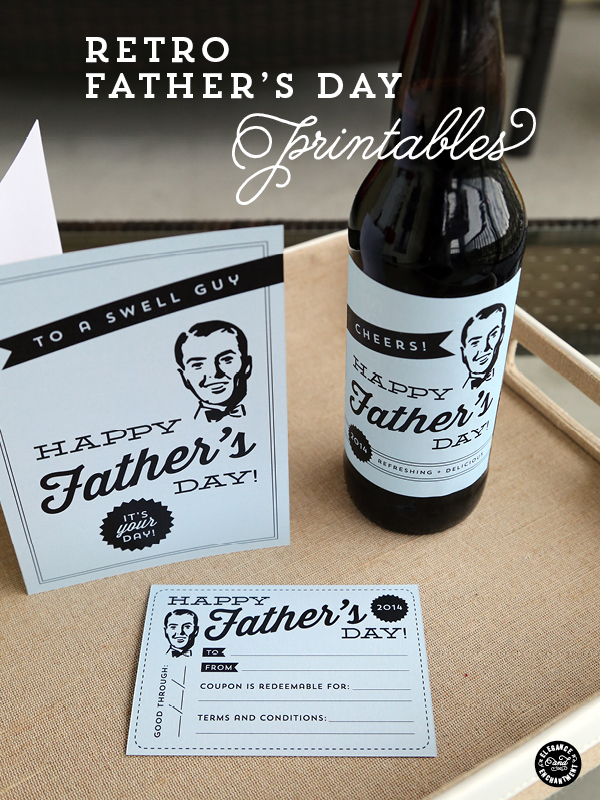 Here’s a round-up of my favourite Father’s Day printables spotted on the interwebs including gift wrap, cards, prints and other cool DIY items. And the best thing? They’re all FREE! Spotted in a recent Down That Little Lane newsletter, this gift wrap from Almost Makes Perfect is simple and stylish. Bec from Pinch Me Beautiful has teamed up with talented illustrator Rachel from The British Rule to offer these two super cool prints. 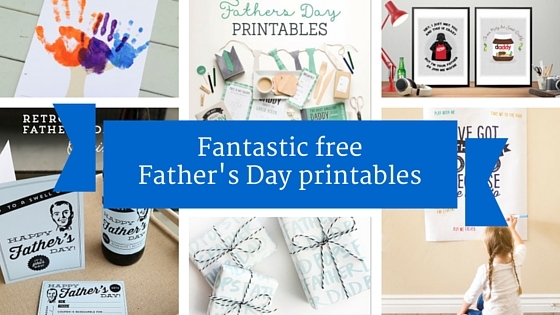 Bianca from A little delightful always offers fabulous printables and her Father’s Day ones are no exception. A handprint tree, interview and drawing page, bookmarks, menu… there’s lots to choose from! I love this giant poster from Confetti Sunshine. Stick it up on the wall and let the kids go nuts adding words and pictures all about Dad. 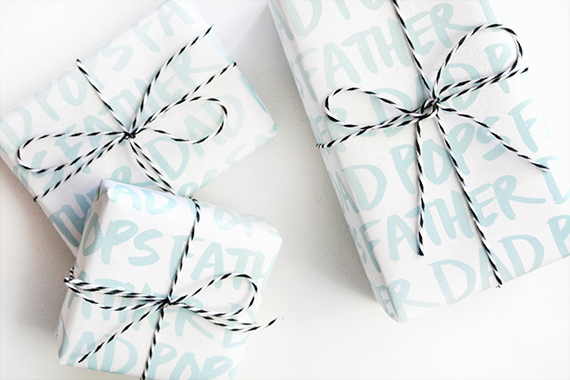 This Design is Yay moustache and bows gift wrap is perfect for the hipster Dad! These retro printables from Elegance and Enchantment include cards, coupons and even bottle labels. Perfect for jazzing up Dad’s gift. Tinyme offers a massive collection of free printables – you are spoilt for choice (I love the gift bags and chocolate bar wrappers best!). Wishing the Dad in your life a happy day on Sunday. 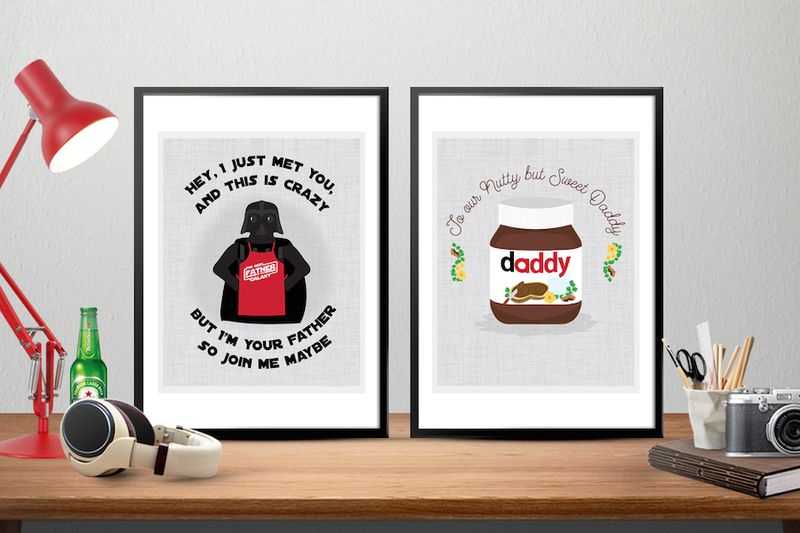 Do you buy a gift, create handmade gifts or do a combination of both for Dad? PreviousBaby & new mum gift ideas plus a GIVEAWAY!